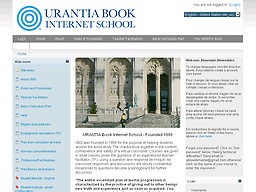 UBIS is an online school functioning under the sponsorship of Urantia Foundation. One of the purposes of Urantia Foundation is to “effectuate means and methods” to disseminate the teachings of The Urantia Book. UBIS is one means of accomplishing this. gain experience in presenting and sharing the teachings of the book.